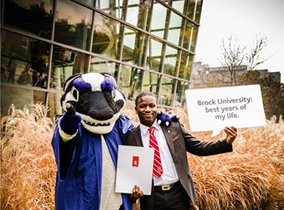 We are very excited to have Stephen Amoah, an alumnus of both Brock University and Career Services, write a guest blog this week on entrepreneurship and what he has gained from choosing this as his career path. Thank you Stephen! great things in this world. 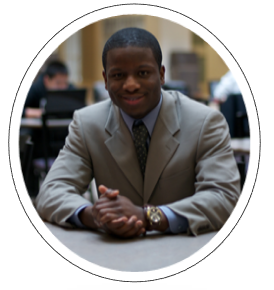 As an entrepreneur, I am part of the 1% of students who have chosen the entrepreneurial career path after graduating. I have been an entrepreneur since the age of 18. Managing a full-time course load and being a Co-Founder is not easy at all, but the experiences gained from being an entrepreneur are invaluable and life changing. Here are some of the benefits I have received from taking the entrepreneurial career path. Building your own company is like raising your own child. You do everything in your power to ensure that your child grows and becomes successful. There is a personal fulfillment or celebration with each milestone your child goes through. This is the equivalent of running your own company. In my case, each deal that I secure with a client is a success and raises the valuation of my company. When I secured our first client, I was overjoyed (so overjoyed that I created my own happy dance) as my vision of the company was becoming a reality. There is self-fulfillment in each milestone your company goes through. Today, I am managing clients across Canada, the United States and the United Kingdom (and I still do my happy dance after each client). Building your own company leads to massive responsibilities. Managing these responsibilities is a great experience for your personal development. As you build your company, you succinctly become a jack-of-all-trades and develop a plethora of skills. This will happen because as you start your company, you typically start-off with one to three people on your team. I graduated with an Accounting Degree, however through my experience building my own company I have done market research, sales, financial reporting, customer service, bookeeping and financial forecasting. I am now in a position of exploring multiple opportunities in the future due to my diversified skill set. As you build your own company, you will inevitably come across obstacles. Whether it's a lack of financial resources or people not buying your product, experiencing these obstacles and weathering the storm will make you become a wiser and stronger person. I have encountered my fair share of obstacles. A recent obstacle that stands out for our company is when we ran out of money two months before the launch of our website. Our team spent hours strategizing on how we could address our financial concern, and we came up with an innovative way to keep afloat. When these problems occur, you have to find solutions in the quickest way possible for your company to survive. The determination and grit that goes into overcoming these obstacles is what makes these challenges a story towards your success. Would You Like to Join the 1%? Yes, starting your own business is a huge risk, but I encourage you to explore the option now while you are young. If you build your own company and it does not work out, you are still in an ideal position to pursue numerous opportunities because of the skills that you have gained. Employers today are looking for entrepreneurial minded candidates as they know the grind and results-focused attitude that entrepreneurs have. So, have you ever wanted to start your own music company, sports camp or have that new burning idea that will change the world? Go for it! When you are in your later years and looking back at life, it is definitely something that you do not want to regret.